Hi there my friends, how is everything today. 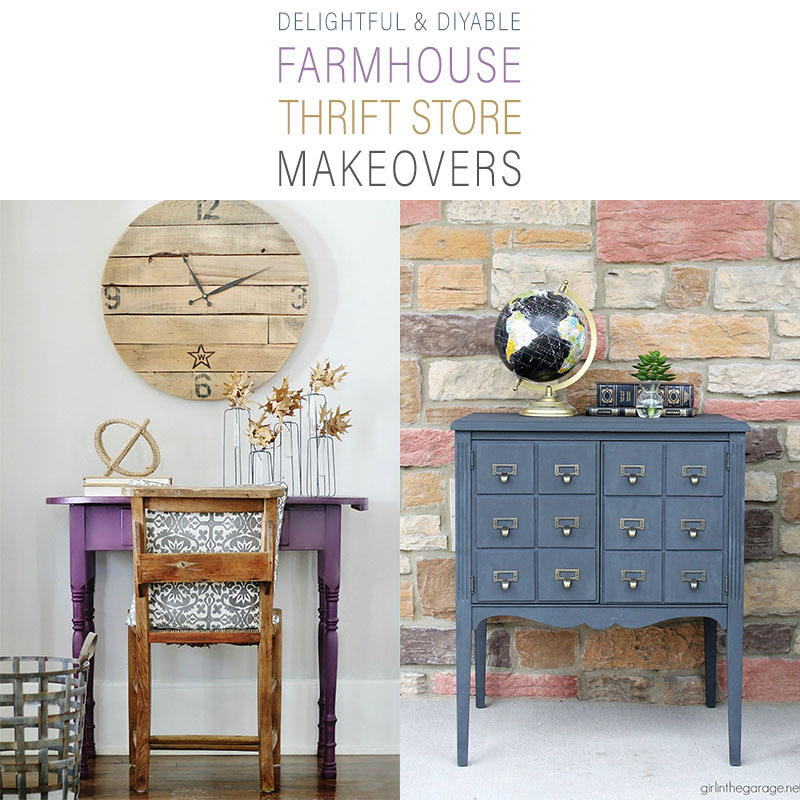 Well it is once again time for some Delightful and Diyable Farmhouse Thrift Store Makeovers. This weeks selection is so much fun and each and every piece will fit in just about anyone’s Home Decor. 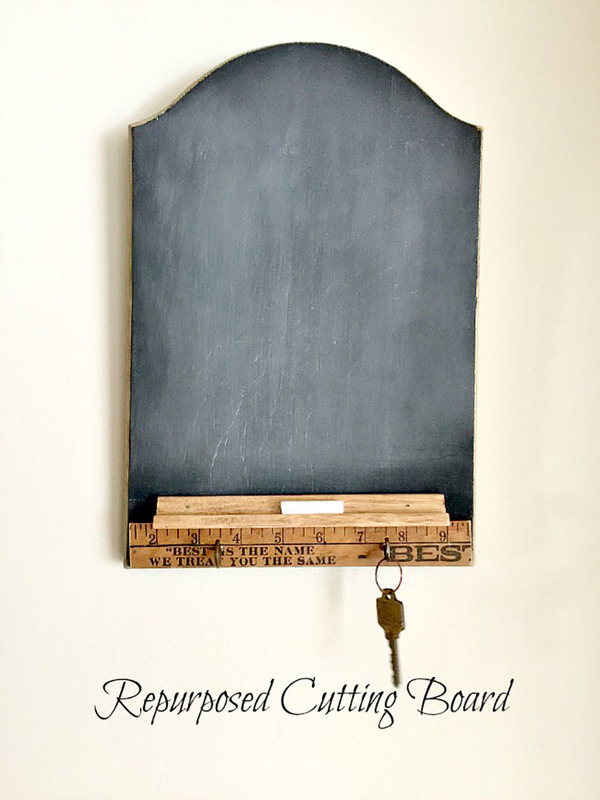 You will find a great Thrift Cutting Board turned Chalkboard with major Farmhouse style… Frames that go from drab to fab… a Furniture Makeover that I am hopelessly in love with and so much more. So now is the time that you sneak off to the most comfy space in the house with your delicious cup of brew and get tons of inspiration for your next Thrift Store Collection. Come and see how Susan from Homeroad gave her Thrifted Cutting Board an entirely new life! Even though it would be filled with cut veggies and bread any more… it will be looking fabulous on the wall keeping everyone up to date. What a great Chalkboard… don’t you think! Come and get the details at this wonderful blog. 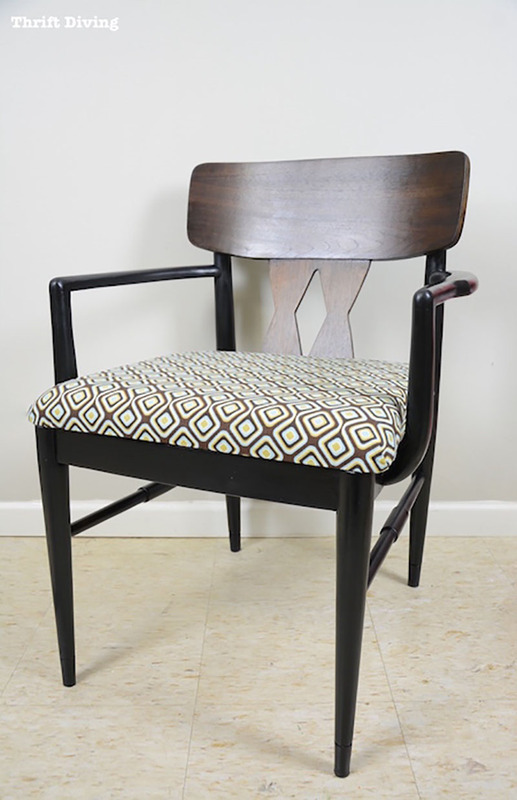 Serena over at Thrift Diving is going to show you how she transformed this Thrift Store Chair into a masterpiece. It had a great look to begin with but it was worn down… padding was ripped and needed a day in Serena’s Creative Spa for sure. Come and see how created a Modern Farmhouse or a Mid Century Modern Beauty. (Mid-Century and Modern Farmhouse have many cross over looks. This chair would be amazing in either home decor… heck… this chair would look incredible in any home decor!) Hope you enjoy and become inspired. 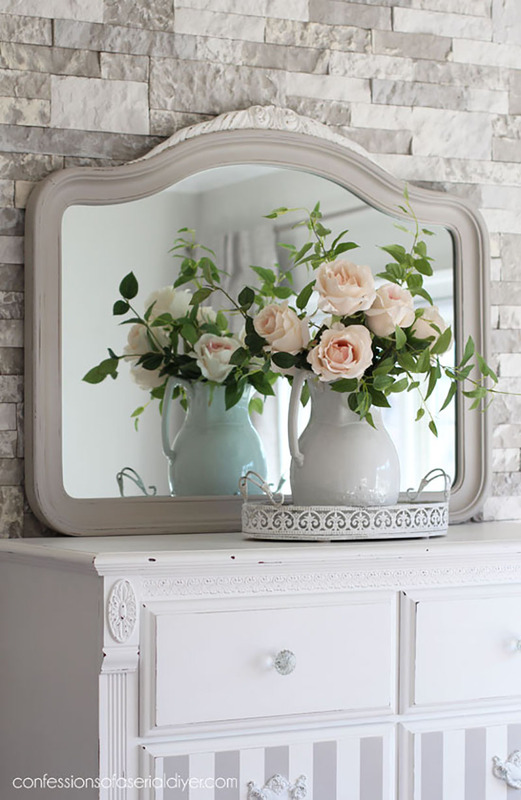 Christy over at Confessions Of A Serial DIYER found this pretty little mirror in her Thrift Store. Very traditional and looked fine the way it was but she wanted to kick it up a notch and bring it into the 2000’s so she gave it a new look and wow does it look great and younger ; ) Keep your eyes peeled for pieces like this one. 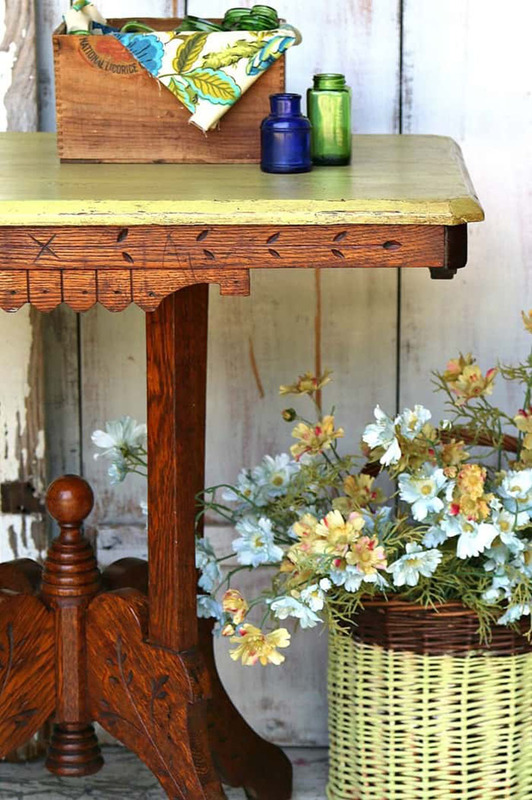 You can do so many different looks with paint and stain treatments. Love it! You know when you find a fun Thrift Store piece and you just can’t decide if you should paint it or keep it’s natural wood look and stain it? Well the creative Kathy over at Petticoat Junktion has a great solution… DO BOTH! That is exactly what she did here and wow does it look incredible. Come and see how does it… there are so many tips at this imaginative blog you will have to stay all day! Carlene found this Primitive Salt Box at a Grarage Sale (great find!). She wasn’t in love with the look so she decided to give it the Farmhouse Treatment and that she did (I love how she added the metal grating in the windows… brilliant!). When she was done it was totally Farmhouse Ready! 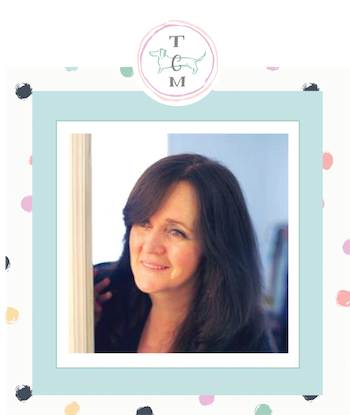 Come and see her tricks… some of them are ideas that you can use in other projects that come your way. Always great to learn a new technique. First… I have to preface that you must go over to Girl In The Garage to see what this Record Cabinet looked like before the makeover! It was a sweet little piece that looked just like it was in my Grandmother’s home when I was younger. I tell you to check it out because it is just such an amazing transformation. 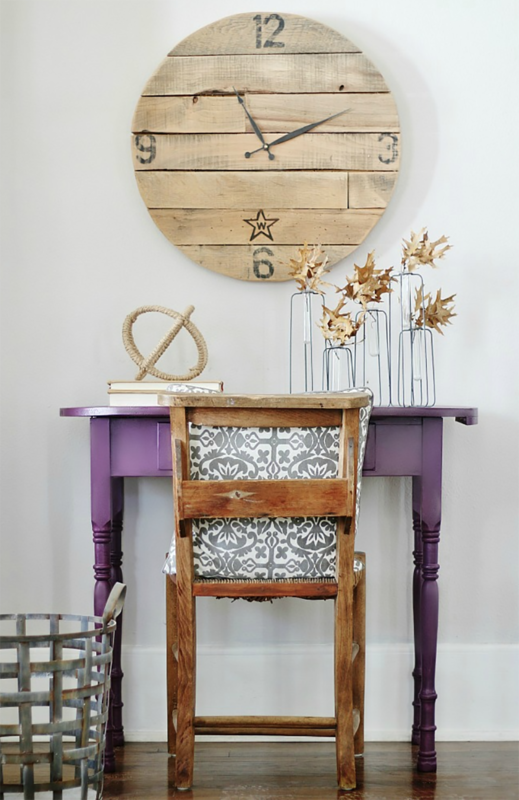 The technique to get this Faux Catalog look is genius as is the whole DIY. Love it from top to bottom and that blue… simply dreamy. Be sure to visit! Now here is a treat. We are dropping by to visit with Larissa over at Prodigal Pieces and she actually has 3 Makeovers waiting for us in this one amazing post! She is going to share her 3 Thrift Store Finds… a dated Bread Box… Scoop and Wooden Horse. What she does to them all is magic!!! 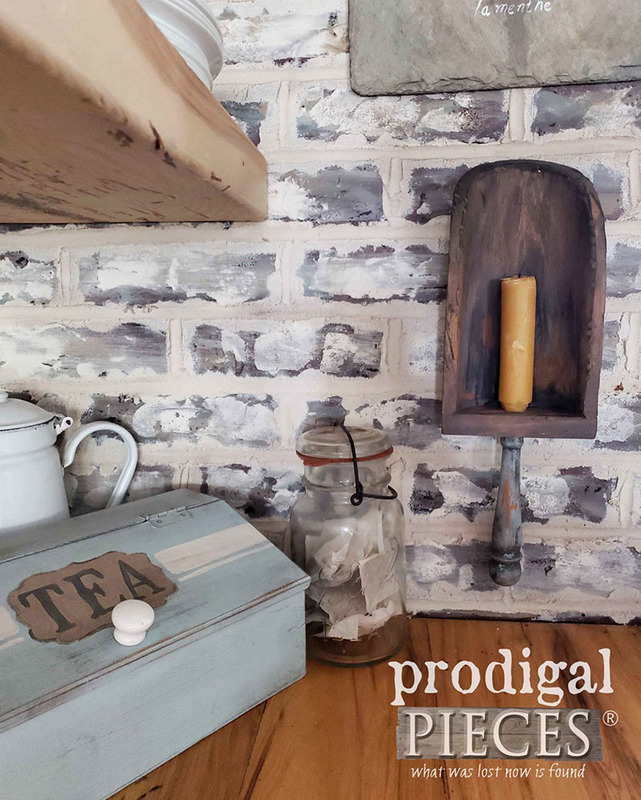 Loving the look of the new and improved Breadbox and that scoop is Farmhouse Styling don’t you think. Be sure to see how she does it and to check out the fabulous Horse makeover. Enjoy… I know you will! 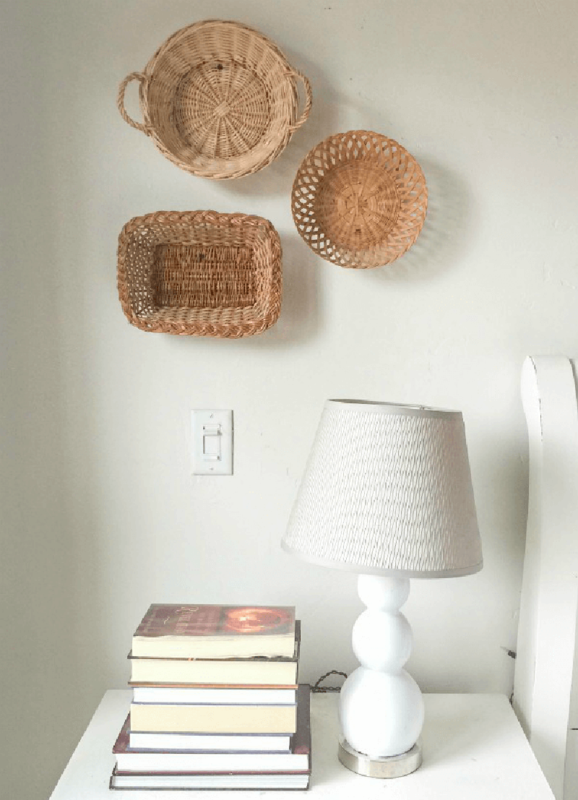 What to do with all those Baskets you have accumulated over time at your favorite Thrift Stores??? Well if you are at a loss … Sara over at Twelve On Main has the perfect answer for you… hang them! That’s right… there are Plate Galleries… Frame Galleries… Gallery Galleries : ) so why not a Basket Wall Gallery or add a few to your Wall Gallery. Well you get the pictures and Sara has some tips for you… so be sure to visit. I was just thinking… you know all those diys out there that teach us how to dip the baskets… dye the baskets… paint the baskets and so on? Well how about doing some in different stains… colors and designs… you can totally come up with such a unique Wall Gallery that will be the talk of your home. Enjoy and explore! You know the saying “All You Need Is Love” (you are probably hearing the Beatles right now : ) well KariAnne over at Thistlewood is going to show us that sometimes… All You Need Is Paint!!! She is going to take her Thrifted little table and paint it 3 different ways in three different colors… oh what a different the right shade makes! Which one do you like the best… I am favoring the purple and I am so a blue girl… you never know! ENJOY the inspiration. 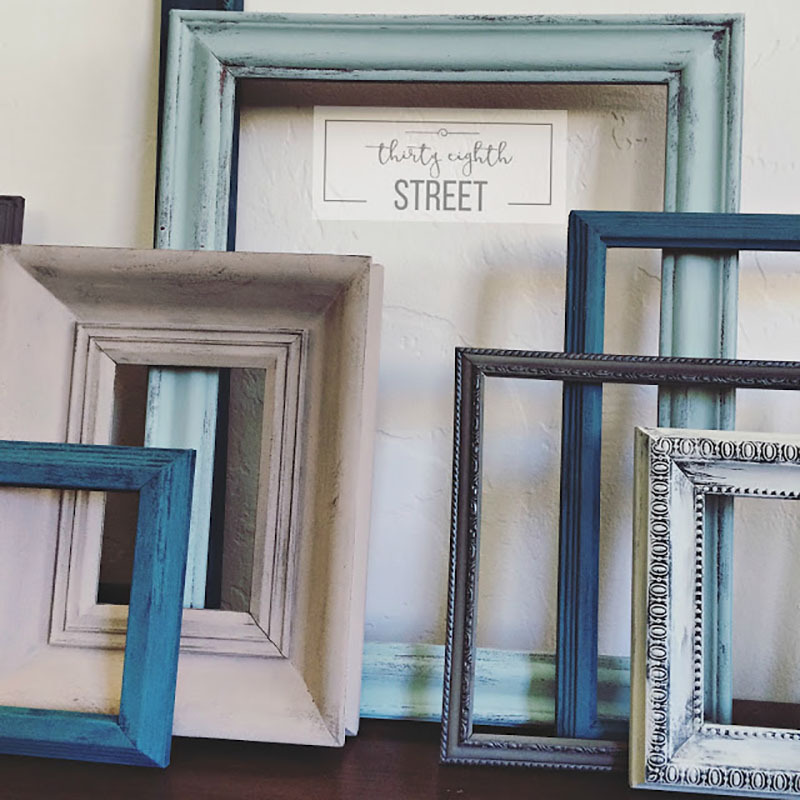 Now come on over to Thirty Eighth Street and check out the before of her collection of Thrift Store Frames. 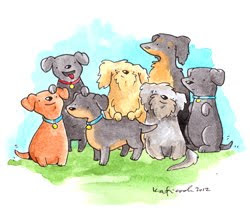 They are all different in color… stain… shape… some are metal…etc. I love an eclectic look but I don’t think these would have looked that great together as is. 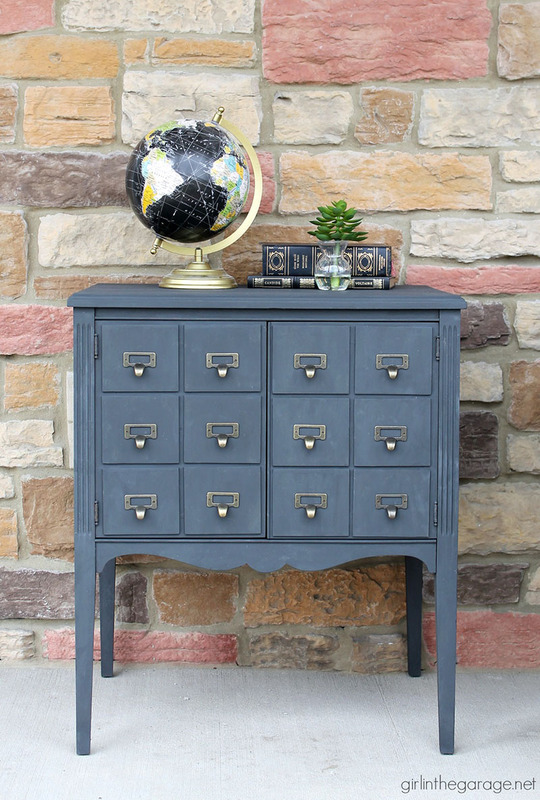 Enter… PAINT… different shades of blue… a little bit of distressing… some not distressed and the magic happens. These are going to make one amazing Gallery Wall or whatever she has planned for them. Moral of the store… keep collecting those frames… not matter their color… shape or style… you can bring them to cohesiveness with your favorite shades… so many possibilities… just let your imagination fly! 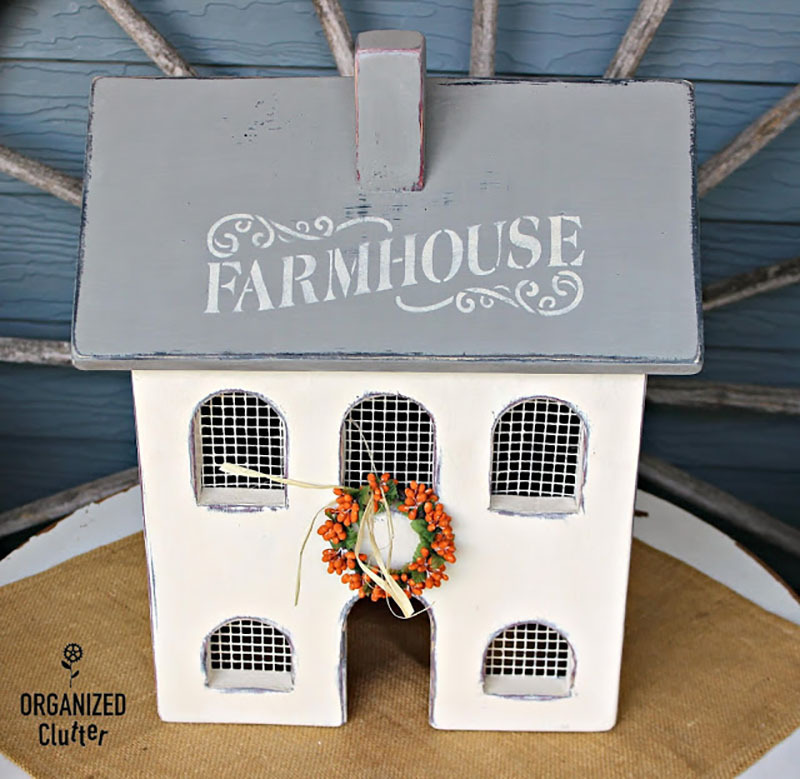 A great way to a pop of color to your Farmhouse Decor!